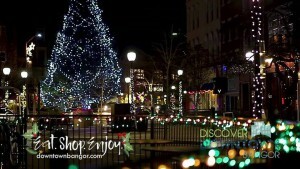 Help us beautify Downtown Bangor for the winter season. Bring a ladder (6 to 8 foot) if you can or just yourself, and help us wrap the lamp posts throughout Downtown in lights! We will meet in front of The Rock & Art Shop at 9:30am and spread out from there.